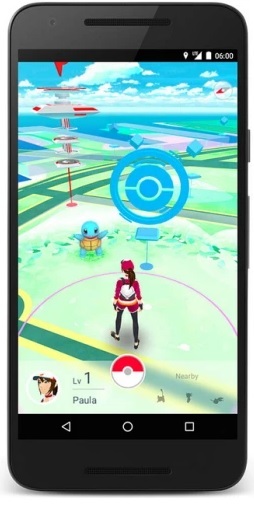 Nintendo has garnered a lot of attention over the past week, not just because of app downloads, but also in revenue gained from storefront businesses looking to lure customers by luring Pokemon. Restaurants around the world are turning into Pokemon gyms, and paying on a cost per visit basis, meaning that Nintendo's profits are dependent on heavy foot traffic above all. However, once enthusiasm wanes, Pokemon Go becomes about gameplay, and in that respect, it is not unique. Pokemon Go has alerted consumers to the existence of AR on a scale which has not seen before. Pokemon Go isn’t the first or only app where users rely on real life locations to play. Ingress, Zombies Run, and Real Strike (all launched years before Pokemon Go) are just a few of the AR applications available today. What Pokemon Go has that they do not is the nostalgia factor. If there’s one imprint the hipster trend left behind on the millennial generation, it is a penchant for wistful reminiscence. Social media sites are cluttered with “only 90s kids will remember” memes, and alongside Bill Nye the Science Guy and gel pens, stands Ash Ketchum and Pikachu. Despite what our parents and grandparents may believe, Millennials do not live online. Rather, the generation that grew up with internet access has domesticated the technology, integrating it so completely into our worlds that there is almost no separation between one's online life and the real world. While virtual reality has sparked the imagination of many a content distributor and device manufacturer, immersive experiences are not capable of existing in both spaces. Pokemon Go, with its augmented reality, can and does both. For users not compelled by nostalgia, it may not offer much in the way of compelling activities. However, what Pokemon Go has done for itself and the market is introduce consumers who have enjoyed the AR experience to a wide range of apps which don’t require headgear or expensive equipment to see an alternate universe all around them. Pokemon Go’s success means we can expect to see a growing number of AR apps in the coming months.